Squirtle locations in Pokemon Let’s Go Pikachu & Eevee are places that you have a chance to run into the starter Pokemon. 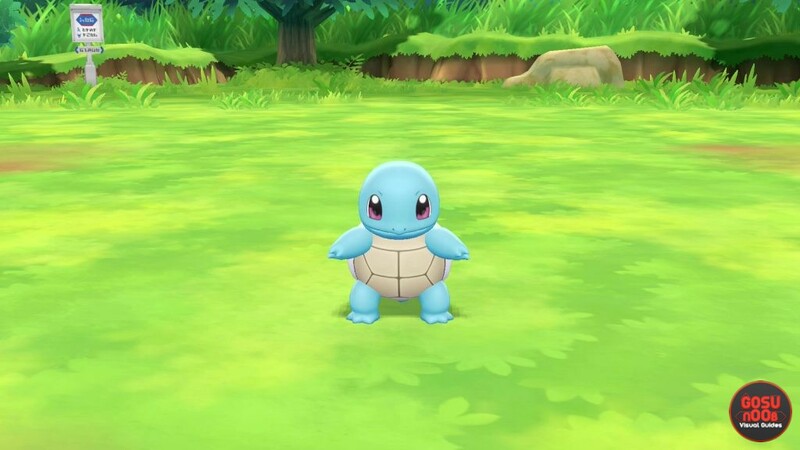 I say starter, but Squirtle in Pokemon Let’s Go is not a starter Pokemon. So, if you want to catch one to complete your Pokedex, you’ll have to go looking for them. Well, here’s our Pokemon Let’s Go Pikachu & Eevee Squirtle Locations guide shows you exactly where you can find Squirtle spawns in the game, as well as which NPC will give you a Squirtle if you catch a certain number of Pokemon. Where to Find Squirtle Locations in Pokemon Let’s Go? To find Squirtle in Pokemon Let’s Go Pikachu & Eevee, there are two areas that you can explore. The first one encompasses Route 24 and 25, both of which lead north and then east of Cerulean City. The other area is Seafoam Islands. That’s in the southernmost part of the map, east of Cinnabar Island and southwest of Fuchsia City. Arm yourself with a lure and explore the grassy patches in those two areas. Sooner or later, a Squirtle will spawn. The lure is recommended, because Squirtle is kinda rare. Another method to get Squirtle is to go to Vermilion City. Go to the Pokemon Center, and look to the right. You’ll find a police officer standing there. Talk to them, and they’ll give you a Squirtle. However, before you can get that Squirtle, you have to catch a total of sixty Pokemon. Only then will the police officer want to give you the Pokemon. Odds are, you’ll get a Squirtle around Level 16 or so. At this point, it won’t be of much use to you, aside from filling out the Pokedex. Which, to be fair, is motivation enough. If you need help finding some other Pokemon in the game, you can check out our other guides on the subject, such as Pokemon Let’s Go Pikachu & Eevee Charmander Locations and Pokemon Let’s Go Pikachu & Eevee Pokemon Locations Map. Or, you can browse through our other Pokemon Let’s Go guides, including Mega Evolution & Mega Stones Locations, and many more.